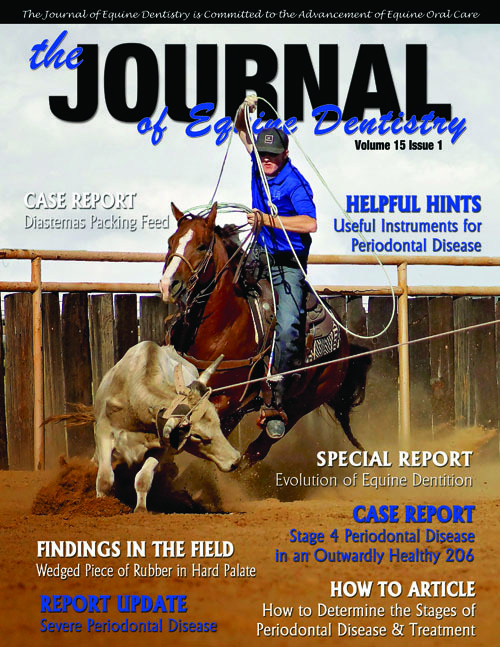 The Journal of Equine Dentistry is the only publication dedicated to equine dentistry. Our subscribers range worldwide, to 24 countries, and include veterinarians, practitioners who work with veterinarians, horse owners, trainers and horse enthusiasts alike. A number of practitioners provide copies of The Journal to trainers, barn communities, and clientele, reaching beyond our subscriber base. This is a great opportunity for anyone who has equine products for sale to advertise. There are rates to fit any budget! Start today and please advertise with us!! Download our pricing guide, PDF (5,200KB).